Wellesley Lodge merged here, 2017. Semi-Centennial of Dalhousie Lodge, Newton, Mass. Dalhousie Lodge was formed June 25, 1860. There were several preliminary gatherings o f which there are no records. Whether it was the intention of the lodge to commemorate the date of some preliminary meeting or that it was the most convenient time for the celebration, the anniversary exercises were pushed forward several days previous to the accepted date of founding and held on Wednesday, June 1, in the Masonic Temple of Newton. These exercises were preceded by a church service. Sunday. May 20th. The church service included addresses by Worshipful Master Charles K. Hatfield and Rev. Albert Hammatt. There was also some excellent music by a double quartette with Brother Henry T. Wade at the organ. The anniversary exercises on Wednesday. June llth. began at 5 o'clock and included an address of welcome by Worshipful Master Charles E. Hatfield, an address by Grand Master Dana J. Flanders, an historical address by Lewis S. Binney and addresses by Past Grand Masters Edwin B. Holmes and Charles T. Gallagher. Music was provided by two male quartettes, an orchestra and the organ. under the direction of Brother Henry T. Wade. No Masonic organization can formally observe any of its anniversaries, whether decades or centuries, without adding something to the value of Masonic influence and laying foundation for the gratitude of later generations long after the actors of the present time shall have found their "Chamber in the silent hall of Death." This thought is often brought to the mind of the Masonic historian who looks in vain for light on the beginning of an organization where many years of usefulness have made it the object of respectful veneration. There is, however, a satisfaction in believing that the more complete lodge records of the present day, with the printed statistics of Grand and subordinate lodges, giving the most important details of lodge organization, and often the names of every member. will make the work of future historians much easier than that of their predecessor. Every thoughtful Mason must appreciate the work now being done by lodges to bring their histories up to the present time. A notable example of work in this direction has been witnessed in the exercises connected with the recent semi-centennial of Dalhousie Lodge of Newton, Massachusetts. This event has been long anticipated by the officers and brethren of Dalhousie Lodge and generous preparations made for observing it in a manner that would reflect credit on the lodge and contribute to the dignity of freemasonry. An able committee consisting of Worshipful Brethren, H. N. Milliken, C. E. Hatfield and C. R. Hayes were appointed to prepare for the event. Ample funds were provided and every detail carefully considered. Every Feature was crowned with success, The souvenir history of the lodge which was presented to each guest deserves special mention, both on account of the merits of the history and the beauty of the book. The reception of Grand Master Flanders was most cordial. He was conducted to the lodge by a Committee of past masters. Right Worshipful Albert L. Harwood, past Deputy Grand Master, chairman. The Grand Master was attended by Rev. William H. Rider, D. D., Deputy Grand Master, Clarence A. Brodeur, Senior Grand Warden; Walter F. Medding, Junior Grand Warden; Past Grand Masters Edwin B. Holmes, Charles T. Gallagher and J. Albert Blake; William H. L. Odell, past Deputy Grand Master; Thomas W. Davis, Grand Secretary; Grand Chaplains, Rev. Edward A. Horton and Rev. R. Perry Bush, D. D., Grand Marshal Harry P. Ballard and a large number of other officers and members of the Grand Lodge. In addition to those mentioned many lodges near by were represented by their Masters. The Worshipful Master said the lodge deemed it an especial privilege to welcome the Grand Master. Grand Master Flanders declared he was glad to participate with Dalhousie in its semi-centennial, and rejoice with it in its 50 years of prosperity. Past Grand Master Holmes spoke of the ties of friendship that bound him to Worshipful Master Hatfield, who had been introduced by him to Masonry, and alluded also to the ties that bound him to the lodge, for he, as the head of the craft, had laid the corner stone of their beautiful building. "One whom we all know and love to honor; our good friend," was the introduction of Fast Grand Master Gallagher to the lodge from the Master. The distinguished visitor's address sparkled with anecdotes, into which he moved sentiment by referring to the noble founders of the Lodge and their deeds, and made a thoughtful allusion to the noble name it bore. No feature of the celebration was of more importance than the historical address of Brother Lewis E. Binney, which the lodge caused to be printed in full in recognition of its great merit. The historian began his address with a notice of the Country's progress in the various fields of science, invention and art and other great events thai Bhad taken place during the last half century saying, "Freemasonry, pursuing the quiet, even tenor of its way, fulfilling its high missions of the attainment of nobler manhood, the diffusing of charity and the strengthening of the mystic ties of fraternal brotherhood has shared in this great progress; our Order has increased manifold in numbers; the simple lodge room of fifty years ago is superseded today by the beautiful temple with its splendid furnishings. The possibilities of electricity and the charm of music are utilized as newer before as accessories to enhance the beauty and impressiveness of our forms and ceremonies. A deeper interest, an increased earnestness, and a more anient devotion to the principles of our institution pervade the Craft; while the establishment of homes for the aged and infirm marks an advanced step in the noble work of charity and humanity." The business of the first meeting of the lodge, as stated in the Call, was to show an appropriate recognition of St. John's Day — to adopt and sign a code of by-laws, — to choose officers and to hear reports of committees on Masonic hall and any other business that may come before the meeting. It was voted that the Lodge be called "Dalhousie Lodge of Newton." William D. Coolidge, afterward Grand Master of the Grand Lodge, was chosen Worshipful Master; Albert A. Kendall, Senior Warden; Silas H. Munson, Junior Warden; Isaac Cary, Treasurer: Horatio F. Allen, Secretary. The appointed officers were Adin B. Underwood, Senior Deacon; Chester H. Graves, Junior Deacon; George E. Bridges, Senior Steward; O. S. Sanord, Junior Steward and W. D. Thayer, Marshal. The youngest member of the lodge was required to serve as Sentinel. At a subsequent meeting J. B. Lovett was appointed Tyler and Rev. N. G. Allen, Chaplain. The fee for the degree was fixed at $25.00 — and for membership $3.00. The regular communications of the lodge were held on Wednesday evenings on or before the full of the moon. The petition for a dispensation for forming the lodge was signed by thirty-eight brethren. It was received bj the lodge September 26, 1860. The officers were authorized to apply for a charter May 22. 1861, and on June 24, 1861, the hall was formally dedicated and the "Lodge duly constituted and consecrated," by Most Worshipful William D. Coolidge who was then Grand Master, having resigned as Worshipful Master of Dalhousie Lodge in December, 1860. In the evening a public installation was held, the ladies being present. Albert A. Kendall was first Worshipful Master under the charter. There are twenty-seven names on the char ter. The date of the charter was first June 24, 1861 with precedence in tin Grand Lodge and elsewhere of the same date. It was amended by Grand Lodge in 1871 so as to give precedence from August 3, 1860, the date of the dispensation; it was still further amended in 1892 by changing the date of the charter to June 12, 1861, the date the charter was granted. During the past fifty years 1139 brothers have signed the by-laws and become members of the lodge. None of the charter members are living, the last, Francis D. Hall, died about two years ago. Of the first one hundred brethren who signed the by-laws only four are living and members of the lodge. The first name in the list of the honored dead is that of Albert A. Kendall, the first Worshipful Master under the charter, who was killed in the Civil War in the second term of his office as Master of the Lodge. The lodge now has 642 members. Thirty-one brethren liavc served as Worshipful Master of the lodge of whom twenty are living. Brother Binney devotes a considerable attention to the Earl of Dalhotisie for whom the lodge was named and intimates that some record regarding him that has heretofore been accepted as correct may not have been so. The closing portion of the address was devoted to "Our Honored Dead," "The Civil War" and the "Lodge Room." Want of space prevents further notice except to say that tribute was paid to George P. Whitmore, president and Edward P. Hatch, treasurer, and the directors of the building association for their excellent service in the management of the affairs of the present building. The closing words of the historian recognized the glory of past achievements and expressed a hopeful confidence for the future. An excellent banquet completed the exercises. Addresses by officers of the Grand Lodge and good music charmed the time away until parting when the brethren separated with words of good cheer and hopeful prophecy for the future of Dalhousie Lodge. By Wor. Wallace C. Boyden. The anniversary of an individual, a married couple, or an institution has meaning not simply nor mainly because of the number of years that have passed. Its real significance lies in what has happened during those years, the progress made, service rendered, ideals followed, steadfastness of living shown, and the health, vigor, and outlook present at the time of the anniversary. Today we are commemorating the founding of Dalhousie Lodge in 1860. How long ago is, or was, 1860? Seventy-five years, you say. But that does not tell us much. Perhaps we may be helped to a clearer conception by taking a little trip back through the years until we stand by the side of our Brethren who petitioned in that year to establish a Blue Lodge in the town of Newton. We are starting, then, for a compact, well-governed, well-schooled, suburban city of 70,000 inhabitants, rightly named the "Garden City," with its comfortable homes, beautiful gardens, and well-kept grounds. These homes are equipped with a host of modern scientific appliances which make housekeeping in its various phases increasingly easy and efficient. One can sit at his desk and talk with friends in any part of the country at a moment's notice; or, ensconced in a comfortable easy-chair before the open fire, turn on the radio and hear the latest news from all parts of the world, attend lectures on almost any subject desired, and listen to the Symphony concert or any other kind of music suited to his taste. Even if he is a temporary or permanent shut-in, these outside occurrences, including divine service in church, cathedral, and synagogue, are open and free for his enjoyment. Groceries and other necessities of the home can be ordered by telephone and delivered at the door without charge. Ashes, garbage, snow on the streets and sidewalks are cared for by the city. Would one travel from place to place, he can find means at his service of great variety, and equipped to any degree of luxuriousness and comfort which he may desire; high-power automobiles, electric cars, auto-busses, trains with Pullman equipment and streamlined, steamships, yachts, airplanes. These are a few of the salient characteristics of life at this end of our journey. As we move on toward our earlier date, one by one they disappear, the streamlined train, the airplane, radio, automobile, electric car, telephone, etc., not because they have become out-of-date, but because, at each stage of our journey, one or more of them have not yet come into date. When finally, at the end of our journey, we reach our Brethren of 1860, every one of these features has gone from life in this community. A moment's consideration of these tremendous changes in life conditions will reveal what it has cost in inventiveness, research, patient labor, energy, and time to create and put into effective action, one by one, these marvelous and really revolutionary agencies. In this way it is possible, perhaps, to come to some fairly definite idea of how far away from the present is the date, 1860, which we are celebrating today. With all those features absent, which are so familiar and necessary to us, what was Newton at that time? A quiet but enterprising town of 8,000 inhabitants, settled in seven separate villages: Newton Corner, Newtonville, West Newton, Auburndale, and Lower Falls along the northern border of the town; Newton Centre and Upper Falls on the south side. All the great central portion of the town was open fields and woods with few houses. Washington and Watertown Streets ran through the town on the north side as at present. There was no through road on the south side, Beacon Street being only "a proposed road" from Newton Centre to Chestnut Street. Centre Street crossed the town from Newton Corner to Newton Centre, Chestnut Street from West Newton to Upper Falls, but Walnut Street extended only to Homer Street. The Boston and Worcester Railroad, opened some twenty-five years earlier, ran a few trains to and from Boston daily to accommodate the villages on the north side, while the Charles River railroad gave a very limited service to the villages on the south side as far as Brookline. There were two stagecoach or bus lines from Newton Centre and Newton Corner to Boston. Very simple life conditions in which "good old Dobbin" and "Shanks' mare" were the chief means of travel. The Masonic Lodges in existence at that time which were so situated as to be at all convenient for members residing in Newton were few in number. There were eight in the center of Boston, and Bethesda in Brighton; Monitor, Waltham; Pequossette, Watertown; Meridian, Natick; and Amicable, Cambridge. Such is the background which must be kept in mind as we sketch rapidly and briefly some of the high points in the history of Dalhousie during these seventy-five years. On June 25, 1860, the Newton Brethren, assembled in Temple Hall on the west side of Newtonville Square beside the Boston &; Albany railroad, voted to apply to the Most Worshipful Grand Master for a Dispensation establishing a Blue Lodge to be designated, "Dalhousie Lodge of Newton." The petition was signed by thirty-eight Brethren, headed by Right Worshipful Brother William D. Coolidge. The Dispensation was granted and Brother Coolidge chosen as Worshipful Master. At the regular meeting in December Brother Coolidge informed the Lodge that he had been elected Most Worshipful Grand Master of the Grand Lodge of Massachusetts and could no longer act as Worshipful Master for them. Worshipful Brother Peter C. Jones, Past Master of Columbian Lodge, of Boston, was chosen his successor, and he, two years later, was elected Junior Grand Warden of the Grand Lodge. Thus is made evident the quality of leadership which the Lodge enjoyed in its early years. A most auspicious opening of a distinguished career, if we may so speak of the life of an institution. Dalhousie had the unique experience of having its charter signed, the Lodge itself constituted and consecrated, its hall dedicated, and its first officers installed by one of its number as Most Worshipful Grand Master. Brother Coolidge has been very appropriately called the "Father of Dalhousie Lodge," as it was due to his ardent devotion to Freemasonry in Newton and his exertions in its behalf that the Lodge was formed. His home was at the corner of Walnut Street and Highland Avenue, which doubtless accounts for the fact that the Lodge-room has always been located in Newtonville. He presented the Lodge with the Holy Bible, Square, and Compasses at the time of its organization and was elected an Honorary Member on October 16, 1861. His business of wool-buying called him frequently to the South, and at the opening of the Civil War, a time when a Massachusetts man was in grave peril in that section of the country, his high Masonic standing proved of great value to him. In personal appearance a man of large stature and commanding presence, but dignified and gentle in manner, his eloquence on all occasions, whether installing the officers, delivering the charge to the candidates, or addressing the Lodge upon matters concerning the good of the Order, never failed to impress his hearers. The Brethren will be interested to look at the picture, presented to the Lodge in 1871, and which hangs upon our walls, showing him as Most Worshipful Grand Master, surrounded by the officers of the Grand Lodge in 1861. This picture is of especial interest and value because it is the oldest photograph extant of a Grand Master of the Grand Lodge of Massachusetts, taken when surrounded by his suite of Grand Officers. Worshipful Brother Peter C. Jones, and Brother Isaac Cary, Treasurer of Dalhousie under Dispensation, also appear in the group. Brother Adin B. Underwood was an active worker with Brother Coolidge in the establishment of Dalhousie Lodge. It was he who suggested the name or' Dalhousie for the new Lodge. He was Secretary at the initial meeting, and served as Senior Deacon while the Lodge worked Under Dispensation. He was a Charter member, not only of the Lodge, but later of the Chapter and Commandery, and was the first High Priest of Newton Royal Arch Chapter. A photograph of him with his fellow officers of the Chapter hangs on our walls. One other of these early Brethren, John L. Roberts, should be mentioned in appreciation of his loyal devotion to Dalhousie and his valuable service rendered the Lodge in other ways than through official position. He was noted for his hospitality, and his home, the famous General Hull mansion, where he delighted in entertaining the Lodge's Masonic guests, was the scene of many social Masonic gatherings within its spacious halls. In those days, when Lodge accommodations were limited and scantily furnished, it is easy to understand that Brother Roberts' generous hospitality was invaluable in promoting the brotherly spirit proper to Freemasonry. His home was situated on the lot, diagonally across from our present building, on Walnut Street, extending from Austin Street to the Boston & Albany railroad tracks. After his death it became the home of the Newton Club. The list of Charter members and of the first officers, as well as a brief account of the Earl of Dalhousie for whom the Lodge was named, can be found in full in the history of Brother Lewis E. Binney, given at the fiftieth anniversary in 1910. Dp to the year 1876 the conferring of the degrees did not entitle those receiving them to membership in the Lodge, it being required afterwards to apply for and be elected to membership. In accordance with Masonic custom of that time, the regular communications of the Lodge were held on Wednesday evenings on or before the full of the moon. Throughout these seventy-five years of its existence, Dalhousie has maintained a high standard of requirement for membership, strictly in accord with the best Masonic traditions and principles. As a result the character of its membership has always been a matter of just pride, representing as it does the best element of citizenship in the community: men who have filled the highest office in the municipal government of the city of Newton, who have served in the Senate and House of Representatives of the state and national governments; clergymen and professors who have attained eminence in the religious and educational life of the country; members of the legal and medical professions, and citizens prominent in financial, mercantile, and educational circles in this vicinity. The number of members has been steadily and normally increasing through the years until it reached its maximum, 1120, in 1920. Since then it has dropped somewhat each year, especially during the last three years, leaving the present membership 980. Dalhousie still stands as one of the largest Lodges in Massachusetts, only four exceeding it in size: Palestine, Everett; Athelstan, Worcester; Mt. Carmel, Lynn; and Roswell Lee, Springfield. The annual addition to membership reached its peak of 102 in 1920. In that year the third Newton Blue Lodge, Norumbega, was constituted; the second, Fraternity, having been started in 1875. During the seventy-five years, 2180 Brothers have signed the by-laws and become members of the Lodge. It is an interesting fact that during the early years Dalhousie seemed to be closely associated with the churches of the community. Its first home was in the Swedenborgian chapel on the second floor of a small building near the station on Bowers Street. In 1861 it moved to the upper story of the newly erected Methodist church on the corner of Washington Street and Central Avenue, which building was sold seven years later to the Central Congregational church. It was the Lodge-room in this building that was dedicated June 24, 1861, very plainly furnished and heated by a large pyramid stove in one corner, presenting as strong a contrast to our present quarters as was shown in the pictures of Newton in 1860 and 1935. In 1874 ex-Governor William Claflin built what was known as Central Block, a large three-and-a-half-story wooden building on the corner of Washington and Walnut Streets, completing the upper portion for the accommodation of the Masons, who had then outgrown their quarters in the church. These handsomely furnished apartments, consisting of a large main hall, a smaller hall, an armory, reception rooms, etc., seemed adequate to the requirements of the Fraternity for many years. This hall was dedicated by the Grand Master on May 12, 1875. Twenty years later, however, these quarters were found to be quite inadequate, besides carrying an undesirably great fire risk. Negotiations with the proprietor for certain improvements and additional safety appliances failed. It was therefore decided to undertake the erection of a Masonic Temple in Newtonville suitable to the needs of the several Masonic bodies which would use it. Under the leadership of Worshipful Brother George P. Whitmore, Right Worshipful Albert L. Harwood, and Brother Edward P. Hatch, steps were taken to secure the lot and arrangements made to erect the present building so well-known to us all. As the Masonic bodies which were interested in the movement were not incorporated, and could not hold real estate by legal title, it became necessary to form a stock company. On December 24, 1895, the Newton Masonic Hall Association was accordingly incorporated to erect the building, although the details were first to be submitted to the several Masonic organizations for approval. The corner-stone was laid September 23, 1896, and a year later, on October 6, 1897, the Lodge assembled for the last time in their old apartments in Central Block and marched to the new building, where the ceremony of dedication was performed by Most Worshipful Charles C. Hutchinson, Grand Master; the address upon the occasion being delivered by Right Worshipful Brother Albert L. Harwood. At that time this Temple was not excelled by any other Masonic Temple in New England, and perhaps in the country, in convenience and beauty of appointments. It still stands as among the finest. Its erection was an undertaking of great magnitude, the success of which is due in no small measure to the untiring efforts and able direction of Worshipful Brother George P. Whitmore, the President of the Association. Then came the serious problem of financing the enterprise, which included not only caring for the debt which had been incurred of necessity, but also maintaining the property in efficient condition. This was in the hands of the Masonic Hall Association. The Brethren were very loyal in their support of the enterprise, taking stock as individuals and as Masonic bodies, with no expectation of any return in dividends. Of course this undertaking was the responsibility of the Masonic Fraternity and not of any one of the bodies. However, because Dalhousie was the oldest and largest of these it played a large part in the enterprise. Main of its Brethren gave faithfully and freely of their time, and valuable service during long periods as Directors of the Association in the successful management of the affairs of the building for the next twenty-five years. In the fall of 1920 the Directors of the Association felt that the situation demanded a more energetic and united effort toward the reduction of the indebtedness and its eventual removal. Accordingly, representatives chosen by the various bodies were called together and the Newton Masonic Entertainment Committee was formed, whose primary object was to care for the raising of the annual payments due on the mortgage bonds. A little over a year later the name of this organization was changed to the Newton Masonic Executive Council and its purpose expanded to the final elimination of all indebtedness on the building. Directors, Frederick S. Fairchild, Warren W. Loomis, George L. Sleeper, and Christopher I. Flye. "Newton Masons may justly take pride in the accomplishment which we celebrate tonight, for not only has a heavy burden been forever removed, but in its place has been created a real asset capable of being efficiently used for the benefit of the Fraternity to which it is dedicated." Born, as it were, in the shadow of the impending four-year Civil War, Dalhousie early met the test of its patriotic spirit, and right royally did its members respond to the call of duty. Into this service they were led by the first Worshipful Master, Albert A. Kendall, who enlisted as a surgeon during his first year as Master. Fleeted for a second term during his absence, his reply of acceptance was written and sent on the very day of his death at the Battle of Antietam. In all later calls from the country for service, our Brethren have done their part with honor. In accord with the true Masonic spirit, Dalhousie established and has developed a Charity Fund of sufficient size for its income to care for all the needy Brethren even during these recent years of special distress. It is carefully and sympathetically administered by a Board of Trustees, consisting of the presiding Master and two others. Dalhousie has done its share in all the benevolent enterprises of the Most Worshipful Grand Lodge. Such a life of honorable achievement as Dalhousie Lodge has had comes not with case or by chance. We of the present should recognize that the blessings which we enjoy have been "bought with a price." On an occasion like this acknowledgment should be made of our indebtedness to the long list of Brethren who have wrought so faithfully and unstintingly that we might enjoy. There are fifty-five Past Masters of the Lodge, of whom twenty-eight arc living. It should be borne in mind that while it is a great honor to be elected Worshipful Master of such a Lodge as Dalhousie, the position carries with it a large burden of responsibility and an arduous amount of work. During the first thirty-seven years the term of service of the Masters was uniformly two years, while since that time it has been but one year. But note, please, that it has been the custom of this Lodge to start a new man in at the lowest station and expect him to travel upward through the various positions until at last he arrives at the East. This means that each Past Master has served in office all the way from seven to fourteen years. This is no small contribution to the life of the Lodge. The Lodge has been honored by having live of its Past Masters appointed to the position of District Deputy Grand Master: Albert L. Harwood, George P. Whitmore, Fred M. Blanchard, Robert D. Diggs, and Walter L. McCammon. Also Right Worshipful Albert L. Harwood served as Deputy Grand Master of the Grand Lodge. There are certain other officials who have served the Lodge for periods of more than ten vears. Three Treasurers: John B. Turner from 1873 to 1884, John W. Fisher from 1900 to 1915, and Frederick S. Fairchild from 1916 to the present; two Secretaries: Edward E. Morgan from 1883 until his death in 1916, and Robert D. Diggs from 1921 to the present. Continuity in these two positions means much to the Master in his work and contributes to the smooth running of the Lodge. Alexander Chisholm served the Lodge as Tyler for twenty-three years. Dalhousie has completed seventy-five years of harmonious, prosperous, and useful life, of which the Brethren may well be proud. Its achievements, High standing, and fine reputation are, indeed, a great inheritance. We should be deeply grateful for the honorable past, but recognize that the story of its life does not end here. We have a responsibility to carry on. In the light of what has been done, and with reliance upon the Lodge as it is today, may we go forward with confidence and determination to preserve and continue the high character of its achievements and increase the luster of its reputation. By Worshipful William N. Woodland. A Lodge, we are told, is a certain number of Masons, and Dalhousie Lodge, F. & A. M., has been noted for both the number and the Masonic distinction of its members throughout its hundred-year history. For the greater part of that period, Dalhousie Lodge has ranked as one of the largest Blue Lodges under the Most Worshipful Grand Lodge of Masons in Massachusetts; its work has been hailed as a standard to be emulated by others; and its members have been most active in promoting Freemasonry in all its branches. Throughout the century, too, Masonry in Newton has centered around Dalhousie Lodge. Its members planned, built and financed the series of lodge rooms which have served as homes for all the Masonic bodies meeting in Newton. It is the oldest Lodge in Newton, and while it now enjoys happy fraternal relations with three other thriving Lodges in the Temple, it was the only Lodge active in Newton for almost half the century. Dalhousie Lodge shares and rejoices in the prosperity of the other Newton Lodges, for it can claim a parent's pride in all of them. Members of Dalhousie Lodge founded and provided most of the original officers of Fraternity Lodge in 1875. They rendered similar service at the founding of Norumbega Lodge in 1920, and Dalhousie had a part in the creation of [http://www.masonicgenealogy.com/MediaWiki/index.php?title=GardenCity Garden City Lodge in 1955. In the hundred years since its own founding, Dalhousie Lodge has made Master Masons of more than 2,500 men. While its membership has included the business and civic leaders of Newton, members of Dalhousie Lodge have come from all walks of life, and today, as in the past, its membership represents a cross-section of the community. Here the operative mason joins with the banker, the broker, the builder, the metal-worker, the teacher, the clerk, the merchant, the civil servant, on the level of Equality, all working for the common good. In 1860, the year of the founding of Dalhousie Lodge, there were already a considerable number of Masons resident in Newton, then a town of 8,000 inhabitants, settled in seven villages. Among them was R. W. William D. Coolidge, then Junior Grand Warden of the Grand Lodge of Massachusetts. The existing Masonic Lodges accessible by railroad or horse-drawn stage included eight in the center of Boston, Bethesda in Brighton, Monitor in Waltham, Pequossette in Watertown, Meridian in Natick, and Amicable in Cambridge. Meridian Lodge, incidentally, had been chartered in Watertown in 1797 and had been located in Newton Lower Falls between 1843 and 1852 but had not flourished there. Pequossette Lodge had been organized in Watertown in 1857. Over a period of months extending into the Spring of 1860, the Masons living in Newton, under the leadership of Bro. Coolidge, laid plans for the establishing of a Lodge here. With Bro. Adin B. Underwood as secretary, the group issued a call to "the Masonic Brethren of Newton" to assemble at Tremont Hall in Newtonville on Monday, June 25, 1860, "for an appropriate recognition" of St. John's Day. George Ramsay, the Eighth Earl of Dalhousie, was Grand Master of Scotland from 1767 to 1769. It was he who granted letters of deputation to General Joseph Warren in 1769, making him Grand Master of Masons in Boston, New England, and within one hundred miles of the same. Boston already had a Grand Lodge, constituted in 1733 by Henry Price under warrant from Viscount Montacute, Grand Master of the Grand Lodge of England. In 1792 the two Grand Lodges united. Since both Grand Lodges had instituted regular Lodges and had assigned numbers to them with numerous duplications in numbers, the numbers were abandoned to avoid argument. That is why Massachusetts Lodges, contrary to the usual custom, bear no numbers. According to the Freemason's Monthly Magazine of October 1860, it was the eighth Earl of Dalhousie for whom Dalhousie Lodge was named. According to Bro. 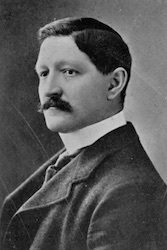 Lewis E. Binney, who wrote the first history of the Lodge at its fiftieth anniversary in 1910, it is more probable that the name was intended to honor the eleventh Earl of Dalhousie, Fox Maule Ramsay, better known in English history as Lord Panmure. The eleventh Earl was Grand Master of Scotland and Deputy Grand Master of England at the time Dalhousie Lodge was established, and this fact would seem to make him a strong candidate for the honor of serving as namesake of the Lodge. There have always been strong ties between the Grand Lodge of England and Massachusetts, and Bro. Coolidge was to become Grand Master of Masons in Massachusetts soon. Another bit of evidence that the Newton Masons sought to honor the more recent Dalhousie is the fact that the founders of Dalhousie Lodge chose to use the designation, "F. & A. M." for the Lodge, rather than the more common "A. F.& A. M." The missing "A" stands for "Ancient", and the Grand Lodge of Scotland had shown sympathy with the "Ancients" during the controversy between that group and the older so-called "Moderns" in England in the Eighteenth Century. Dalhousie's founders may well have had that episode in mind, for they were serious students of the Craft and its history. Unfortunately for the Binney theory and the eleventh Earl, dates impose a stumbling block. On June 25, 1860, the Grand Master of Scotland and Deputy Grand Master of England was still Baron Panmure. He did not become eleventh Earl of Dalhousie until six months later, following the death, on December 19, 1860, of the tenth Earl of Dalhousie, the great empire-building Governor-General of India. If a later historian may venture a guess, it may be possible that the Brethren who gathered in Newtonville in June 1860 had in mind the greatest of the Dalhousie line, James Andrew Brown Ramsay, the tenth Earl and Viceroy of India himself. He was the man known to Americans as "Dalhousie" in 1860, and he had served as Grand Master of Scotland, 1836 to 1838. It is the eleventh Earl's portrait, however, which hung over the Master's chair in the lodge-room for many years and which still hangs in the Temple. Whichever may be the Dalhousie to whom our Lodge owes its name, Dalhousie Lodge has used the Dalhousie coat of arms of 1769, together with the motto Ora et Labora, as its seal ever since the constitution of the Lodge in 1861. The motto enjoins us to "work and pray"! At a later meeting, Bro. J. B. Lovett, as the youngest member of the Lodge, was appointed Tyler, and Rev. Bro. N. G. Allen was appointed Chaplain. At the second meeting of Dalhousie Lodge in September 1860, Worshipful Master Coolidge presented the Lodge the dispensation from the Grand Master. He also presented a full set of officers' jewels, the gift of the original officers of the Lodge, which are still in use at every communication of Dalhousie Lodge. The officers were installed by Wor. Peter C. Jones, Past Master of Columbian Lodge. That same night, Dalhousie Lodge received six appljcations for the degrees. Among them were those of Bro. Dustin Lancey and Wor. Bro. Marcus T. Haywood, the first two candidates to be raised in the Lodge. From the order of the names in the records, Bro. Lancey is presumed to be the first. Dr. Kendall enrolled as a surgeon in the Union Army during his first term as Master, but was re-elected for a second year in 1862 and installed by proxy. The day before his installation, however, he was killed at Antietam, Sharpsburg, Maryland, on September 17, 1862. The rude wooden marker from his battlefield grave occupies a prominent place in the Temple, at the beginning of the gallery of photographs of Past Masters of Dalhousie Lodge. Dalhousie Lodge has always held its meetings in Newtonville, in a succession of apartments, but always near to the site of the home of Most Wor. Bro. Coolidge at the corner of Walnut Street and Highland Avenue. The first few communications under dispensation were held in the Swedenborgian Chapel on the second floor of a building on Bowers Street, near the present Newtonville railroad station. Early in 1861 the Lodge leased the upper floor of the Methodist Church at the corner of Washington Street and Central Avenue. In 1874, the Lodge secured adequate quarters in the Central Block at the corner of Washington and Walnut Streets. Ex-Gov. William Claflin, who built the block, designed the upper floors for Masonic uses. Within twenty years, the Masonic fraternity had outgrown these quarters, and in 1895 the Newton Masonic Hall Association was formed to erect a building to be the fraternity's own. The members of Dalhousie Lodge, together with the York Rite bodies of Newton, planned the present Masonic Temple, laid the corner-stone in 1896 and moved into the hall in 1897. While it took nearly twenty years for the Masons of Newton to acquire their own home, it took even longer for them to pay for it. During the 1920's a series of fund-raising prospects, including "Masonic Fairs" and other entertainments, finally resulted in paying off the indebtedness on the building in 1927. Since then, new indebtedness has been incurred to finance maintenance and badly needed improvements which had been deferred during the depression years of the 1930's. Since it is not practical for Masonic Lodges to hold real estate in their own names, the Newton Masonic Hall Association was incorporated as a stock company to erect the Masonic Temple in Newtonville. Individual members of the Masonic bodies bought shares of stock in that corporation, but their payments were more in the nature of gifts than investments. Much of the money for the Temple was raised by mortgage bonds, which were finally paid off in 1927. To give the Masonic bodies more direct control over the building which belongs to them in fact, if not in law, the Newton Masonic Hall Association was replaced in 1922 by the Newton Masonic Associates, Inc.
Dalhousie Lodge has held its regular communications on Wednesday evenings from the start, but in the early days the night for the regular monthly meeting was the Wednesday on or before the full of the moon. This was common practice for Masonic Lodges in those days before modern street lighting and when refreshments were of the type now referred to in Lodge only in the admonition to the Junior Warden at his installation. In modern times, the second Wednesday of each month has been the night of regular communications, and special communications have generally been held on other Wednesdays as the volume of work demanded. For the first two-thirds of its hundred years, Dalhousie Lodge held its annual meetings in June, but in recent years the regular communication in September has been the annual meeting. A few years ago, the annual election of officers was advanced to June, to give the incoming Worshipful Master the opportunity to plan ahead for the busy year starting in September. At the last revision of the By-Laws, at Grand Lodge urging, the annual meeting was shifted from the second to the third Wednesday in September to give more time for the annual audit after the fiscal year of the Lodge ends on August 31. The rapid growth of Dalhousie Lodge in its early years and its continued growth since it has shared Newton jurisdiction with other Lodges attest to the popularity and esteem in which Dalhousie Lodge has been held. The Lodge reached its peak membership of 1,120 in 1927. Membership decreased during the depression years, but it has held steady at a little over 800 for the past decade. Despite the large number of candidates admitted to Dalhousie Lodge and its large membership, the Lodge has never relaxed its high standards. Investigation and balloting upon applicants has never been perfunctory. Indeed, at the turn of the century, barely half the petitioners for the degrees were accepted. In later years, careful screening by Worshipful Masters and pre-application committees has made rejection a rare event. Customs of the Lodge have developed and changed over the century. Dalhousie Lodge has always been noted for the high quality of its work, and some features of its work have been unique, not always, it must be admitted, with the approval of the Grand Lecturer. One feature of Dalhousie's work, the "Fellowcraft Team", once frowned upon by Grand Lodge, has been admired and emulated by many other Lodges. The Fellowcraft Team, indeed, may illustrate why the authorities charged with maintaining uniformity are vexed by idiosyncrasies of particular Lodges. While the import of the Fellowcraft Team is clear to any Master Mason on the sidelines, no two Past Masters of the Lodge, probably, will agree exactly on how each member should perform his evolutions. Still, the Team adds interest to the work, and it has performed a most valuable function in providing a training ground for future line officers of the Lodge. In its early years, along with other Lodges, Dalhousie Lodge took it upon itself to police the conduct of its members. Masonic trials were held, at which erring Brothers were reminded of their obligations, accused and defended, and finally cleared or penalized. This function was taken over by the Commissioners of Trials of the Grand Lodge, and these Brethren were called upon to pass judgment upon an early officer of Dalhousie Lodge. He was accused of conduct unbecoming a Mason, with two specifications, embezzling Lodge funds and public drunkenness. On the first charge, the Commissioners found the Brother not guilty. While it was evident that money was missing, the trial board also noted that a series of Worshipful Masters had failed to check into the officer's obvious inability to keep track of funds entrusted to him. On the second count the verdict was guilty, and suspension was the penalty. As it was, Dalhousie Lodge survived the financial loss incurred in its early years. Its sister Lodge, Fraternity, was less fortunate, for peculations by an early officer of that Lodge, forced its suspension for twenty-five years, from 1885 to 1911, leaving Dalhousie Lodge as the only Blue Lodge in Newton between those years. Some time later, Dalhousie Lodge officers were embarrassed by another Masonic trial. On this occasion, they made formal inquiry into the peccadilloes of a Mason then resident in Newton, only to have the Grand Lodge nullify their action on grounds of lack of jurisdiction. After this, the Lodge appears to have curbed its zeal to preserve public morals, leaving that task to the secular arm. Over the years, Dalhousie Lodge has been a busy Lodge, initiating, passing and raising an average of more than twenty candidates each year. In the postwar Masonic boom, it made 85 new Masons in 1921. During the depression years, the number of candidates dropped to as few as two or three a year, but during World War II the volume rose again well up to the 40's for several years. Since then, the number of candidates has leveled off at between 20 and 25 each year, or just about enough to offset the loss through mortality. Like many other Lodges 40 years ago, Dalhousie Lodge made the financial mistake of selling life memberships for an inadequate lump sum payment. Its By-Laws also granted automatic life membership after 25 years. With the big classes of World War I nearing automatic life membership, the Lodge faced a financial crisis in 1940. Its rent, the largest single item of expense, was based on total membership, whether paying dues or not, and in a few years the Lodge would have had more than half its members exempt from dues. After hard work by a series of committees, the By-Laws were finally placed on the present sound basis of granting automatic life membership only to members who have reached age 65 and have paid dues to the Lodge for 30 years. Since then, sharp increases in rent imposed by the Newton Masonic Associates, Inc., have forced two increases in dues, but the Lodge is starting its second century with its expense in balance with its income. Entirely separate and apart from the general funds of the Lodge, the members of Dalhousie Lodge have built up through contribution a substantial Charity Fund, administered by three trustees. While this fund is invested for maximum security, its income has proved adequate to meet all demands upon it for Masonic Charity for many years. Here, too, change may be noted. While the records of a quarter century ago and earlier list many entries for small amounts disbursed for numerous Brothers and their widows, the Charity Fund disbursements of recent years have been comparatively few but for much larger amounts. Pensions, relief and security laws have relieved the Lodge of requests for routine charity; today's requests are more in the nature of relief of exceptional financial disasters to individuals or emergency "tiding over" until relief can be provided through other channels. During its hundred years, Dalhousie Lodge has had eighty-three Worshipful Masters, counting Bros. Coolidge and Jones, who served under dispensation, and the present occupant of the Oriental Chair. Twenty-six of those Masters are still living, and every one of them has maintained continued interest in the Lodge. Collectively, these eighty-three Masters represent a tremendous number of man-hours devoted to Freemasonry and service of their fellow men. In Dalhousie Lodge it has been customary for even-Master to serve in all the line stations on his way to the East, and this has meant from seven to fourteen years' service in stations of steadily increasing responsibility and demands upon their time. For the past 40 years, also, it has been customary for the junior Past Master to devote an additional year as Marshal of the Lodge. Many men have given untiringly of themselves to Dalhousie Lodge, and the roster of Past Masters by no means completes the list of those who have built the Lodge. Among the Past Masters, however, are some who have served Freemasonry outside Dalhousie Lodge as well as in the Lodge. They include those who have served as District Deputy Grand Master: Right Worshipful Brothers Albert L. Harwood, George P. Whitmore, Fred M. Blanchard, Robert D. Diggs, Walter L. McCammon and J. Edwin Mitchell. As already noted, the moving spirit in founding Dalhousie Lodge, William D. Coolidge, became Most Worshipful Grand Master of Masons in Massachusetts in 1860. Ninety years later, a former Chaplain of Dalhousie Lodge, Rev. Bro. Thomas S. Roy, also became Grand Master. Past Masters of Dalhousie Lodge have served other Lodges in Newton, too. Wor. Bro. Horatio B. Hackett, Master in 1870-71, was the first Master of Fraternity Lodge in 1875 and served again as Master on the restoration of that Lodge in 1911. R.W. Bro. Fred M. Blanchard, Master in 1913, and R.W. Bro. Walter L. McCammon, Master in 1918, served as the first Masters of Norumbega Lodge after its founding in 1920. Wor. Bro. Joseph S. Balcom, Master in 1953, was the first Junior Warden of Garden City Lodge upon its founding in 1955 and was its third Worshipful Master. Worshipful Masters come and go, but the smooth running of a Lodge depends in a large measure on the ability, zeal and friendly devotion of men serving in the permanent offices. Three Treasurers have served the Lodge for periods of more than ten years: Bro. John B. Turner from 1873 to 1884; Wor. Bro. 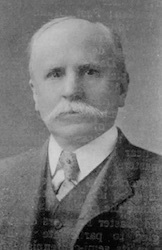 John W. Fisher from 1900 to 1915; and Wor. Bro. 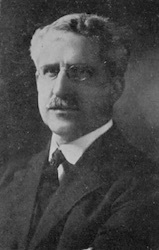 Frederick S. Fairchild from 1916 to 1940. Secretaries have also served for more than a decade each: Bro. Horatio F. Allen, from 1860 to 1874; Bro. Edward E. Morgan, from 1883 to 1916; R.W. Bro. Robert D. Diggs, from 1921 to 1945; and Wor. Bro. John H. Berquist, Assistant Secretary from 1932 to 1945 and Secretary from 1945 to 1951. Bro. Alexander Chisholm served the Lodge as Tyler for 23 years, and Bro. William A. Van Buskirk was Electrician for 24 years. Bro. Harry E. Rodgers has served as Organist for 25 years. The Trustees of the Charity Fund have both served the Lodge long and well. They are Wor. Bro. Carl C. Davis, senior living Past Master, who was Master of the Lodge in 1927, and Wor. Bro. William F. Keesler, Master in 1934. In this brief review it has been possible to note only the highlights of the first hundred years of Dalhousie Lodge, Free and Accepted Masons. As we contemplate its future, we may do well to repeat the words of its second historian, Wor. Bro. Wallace C. Boyden, changing only his "seventy-five years", written in 1935, to "one hundred years" in 1960. "Dalhousie has completed one hundred years of harmonious, prosperous and useful life, of which the Brethren may well be proud. Its achievements, high standing, and fine reputation are, indeed, a great inheritance. We should be deeply grateful for the honorable past, but recognize that the story of its life does not end here. We have a responsibility to carry on. In the light of what has been done, and with reliance upon the Lodge as it is today, may we go forward with confidence and determination to preserve and continue the high character of its achievements and increase the luster of its reputation." DALHOUSIE LODGE — LORD ABERDOUR. On the third of August last, the Grand Master of Massachusetts granted a Dispensation to R. W. William D. Coolidge, Esq., and thirty-five other Brethren, to form a Lodge at Newtonville, in the town of Newton, under the name of "Dalhousie Lodge." The Brethren residing in this town have long needed a Lodge, and we are happy to learn that that now established there promises to flourish and become one of the most influential in the Commonwealth. Indeed, this could hardly be otherwise, for its government is entrusted to Bio. Coolidge, whose skill in Masonry and devotion to its objects and principles, afford the strongest guarantee that all things will be conducted wisely, and creditably to the Craft; and he will be supported by Brethren of experience and fidelity who are associated with him. In the selection of a name, the Brethren have sought to honor the memory of the Grand Master of Scotland, whose term of office continued from November 30th, 1767, to November 30th, 1769, and who, on the 30th of May, 1769, granted letters of deputation to General Joseph Warren, by which he became "Grand Master of Masons in Boston, New England, and within one hundred miles of the same." George, the eighth Earl of Dalhousie — the Grand Master above referred to — was a descendant of the illustrious family of Ramsays — which came from Germany and settled in Scotland as early as the reign of King David I. Sir William Ramsay, in 1295, was the first designed "by the title of Dalhousie. George, the 8th Earl, succeeded his brother Charles, the 7th Earl, on the 29th January, 1764, and died in 1787. Crest; on a wreath, an unicorn's head, couped, argent, horned and maned, or. Two important facts in the early history of Masonry in Massachusetts are now befittingly commemorated through the names of Lodges which illustrate them, namely, — by Montacute Lodge and Henry Price Lodge, is marked the event of the establishment of the Saint John's Grand Lodge, by commission from Viscount Montacute, Grand Master of England, to Henry Price, in 1733; and by Dalhousie Lodge and Joseph Warren Lodge is celebrated the act by which the Grand Master of Scotland, in 1769, deputized Joseph Warren to form a Grand Lodge "in Boston, New England, and within one hundred miles of the same," which subsequently became known as the "Massachusetts Grand Lodge." One other name we should like to honor by giving it to a Lodge in this jurisdiction—it is that of Sholto Charles Douglas, Lord Aberdour, who, in 1756, as Grand Master of Scotland, granted the Charter of Saint Andrew's Lodge, of this city, under which that body has continued to work to the present time. In 1809, it acknowledged its allegiance to the present Grand Lodge of Massachusetts. Saint Andrew's is the only subordinate Lodge now existing in this commonwealth which originally worked under powers derived from abroad, so that, should we adopt the name of "Aberdour" for a Lodge, the early official connections between European Masonry and that in this Commonwealth, would be, in such mariner, completely celebrated. Sholto Charles, Lord Aberdour, was Grand Master of Scotland from November 30th, 1755, to November 30th, 1757. He succeeded his father James, the 15th Earl of Morton, October 12th, 1768. He was born in 1732, and died in 1774. Quarterly, 1st and 4th, argent, a man's heart ensigned with an imperial crown, all proper; on a chief azure, three mullets argent, being the paternal coat of Douglas: 2d and 3d, argent, three piles, issuing from the chief gules, the exterior charged with a mullet azure, for Douglas of Dalkeith and Lochleven. Crest; on a wreath, a wild boar, striking between two stems of oak, a chain and lock holding them together. Supporters; two savages, wreathed about their heads and waists with oak leaves, each holding a battoon in his hand, the great end to the ground, all proper. perpetuating interesting historical associations. J. T. H.
This is the name of a new and energetic Lodge which, for the past year, has been working under Dispensation at Newtonville, and was duly constituted on the 24th June last. The ceremonies of Dedicating the hall and Consecrating the Lodge were performed by the Grand Master and his Officers, in the afternoon, in presence of the members of the new Lodge and visiting Brethren, and in the evening the officers were installed in presence of the ladies and other friends. At the conclusion of which, R. W. Brother Dr. Lewis delivered one of his neat and taking addresses; and of course everybody was pleased with this part of the performance, especially the ladies, to whom the speaker, as usual, made his best bow, and on this occasion, in his best manner. In the interim between the consecration of the Lodge and the installation of its officers the Brethren partook of a collation, served up in good taste and with generous liberality. The Hall is one of the finest in the State, and does high honor to the taste, liberality and enterprise of the Brethren of the new Lodge. Dalhousie Lodge F. and A. M. celebrated the 24th of June by having a public installation of its officers on the evening of that day. The convenient apartments occupied by the Fraternity in Newton are well adapted to accommodate a large audience, and they were amply filled on this evening, by the brethren, who were agreeably outnumbered by the ladies. The services were accompanied by good music, the audience was attentive and apparently interested, brief speeches were made by the installing officer, Past Grand Master W. D. Coolidge and others, the tables in the banquet hall were well spread, and the occasion was altogether a pleasant one. The Installation ceremonies, which were strictly in conformity to Grand Lodge Service, were performed by W. Brother Alfred F, Chapman, W. Brother A. L. Richardson, Master of Mt. Lebanon Lodge, Boston, acting as Marshal. J. B. Fuller, W. M.
W. A. Wetherbee, S. W.
E. W. Gay, J. W.
H. H. Mather, S. D.
L. E. Binnes, J. D.
Chas. L. Wilson, J. S.
This lodge has rather adhered to the custom of having its officers installed on St. John's Day in June, but so great has been the demand upon the time of officers and members by reason of the many celebrations of the day this year, that it was concluded to do the next best thing, and have the installation on the 25th. Accordingly as arranged previously, the M. W. Grand Master visited the Lodge on the evening of the latter day, and installed the officers into their respective places. The official delegation consisted of M. W. Charles A. Welch, Grand Master; R. W. Abraham H. Howland, Jr., Dep. G. Master; Wor. Henry N. Fisher; and Wor. Alfred F. Chapman. Bros. Howland and Fisher acted as Senior and Junior Grand Wardens, and Bro. Chapman as Grand Marshal. The officers installed were W. M. Jas. B. Fuller; S. W. W. A. Wetherbee; J. W. E. W. Gay; Treas. John B. Turner; Sec. E. E. Morgan; Marshal, Warren G. Fellows; Senior Deacon, H. H. Mather; Junior Deacon, J. C. Kennedy; Senior Steward, C. S. Wilson; Junior Steward, R. Q. Barlow; Sentinel, John Grant; Organist, M. A. Underwood; Tyler, Alex Chisholm. At the close, refreshments were served in the Banquet Hall, and speeches were made by the Grand Master, and members of the delegation, and by members of the Lodge. The twenty-fifth anniversary and public installation of Dalhousie Lodge, Free and Accepted Masons, was celebrated at Masonic Hall, Newtonville, June 24th, in a manner fully enjoyable by the two hundred and fifty ladies and gentlemen present. The Mendelssohn Quartette furnished music during the evening, and the exercises included the opening of the lodge at 7 o'clock, the Masonic procession to the lodge room with organ accompaniment; quartette selection, Great God to Whom We Bow; historical address by Worshipful Past Master S. W. Trowbridge of Cambridge; quartette, Comrades in Arms; reception of the installing officer, Right Worshipful Harvey N. Shepard of Boston; and the installation of officers as follows: Worshipful Master, Albert L. Harwood; Senior Warden, John W. Fisher; Junior Warden, G. P. Whitmore; Treasurer, Edwin W. Gay; Secretary, E. E. Morgan; Chaplain, A. T. Sylvester; Marshal, J. A. Blanchard; S. D., Robert Bennet; J. D., J. T. Chadbourn; S. S., E. A. Whitney; J. S., G. A. Gleason; I. S., C. A. Peck; Organist, G. H. Brown; Tyler, Alexander Chisholm. The presentation of a jewel to the retiring Master, H. H. Mather, was then made, and the exercises closed with a banquet. Of the company present there were four or five charter members, several Past Masters and many visitors from surrounding places. — Boston Journal. Members of Dalhousie Lodge of Newton who have enlisted in the service of the United States will wear an identification medal of neat design, presented to them by Grand Master Leon M. Abbott in behalf of the lodge at a meeting on Nov. 21. Each medal has the recipient's name engraved upon the reverse side. P. G. M. Melvin M. Johnson, in behalf of the lodge, presented to the Worshipful Master a handsome silk service flag with nearly a score of stars upon it. The identification medals will be worn by Lieut. Col. Benjamin B. Shedd, Massachusetts C. A. N. G., Boston; Maj. William F. Knowles, Camp Devens; Capt. Fred M. Green, C. A. C, U. S. A., Fort Monroe, Va.; Capt. Lewis E. Moore, Engineers, Expeditionary Forces; Surgeon Roscoe M. Waterhouse, Navy; Lieut. Stanley W. Merrill, 301st Regiment, Camp Devens; Charles N. Young, Ordnance Department, Washington; Lewis H. Baker, bugler, Expeditionary Forces; Elwood M. Carley, Battery A, 301st Regiment, Field Artillery, Camp Devens; M. G. Chamberlain. Plattsburg; August Dath, Florida; William E. Earle, Field Artillery, Camp Devens; John T. French, American Field Service. France; Ralph H. Higgins, Plattsburg; Frank M. Home, Navy; Guy F. Hunter, Expeditionary Forces; John J. Johnston, Expeditionary Forces; Alfred E. Sweet, Fort Ontario, Oswego, N. Y. On Wednesday evening, December 20, Dalhousie Lodge of Newton was host to His Excellency Brother Channing H. Cox and many others prominent in the state government and in the newspaper profession. The occasion was the conferring of the degree of Master Mason upon Leverett Duncan Gunter Bentley of Newton, State House representative of the Boston Globe. Brother Bentley has a wide circle of friends in his own field, in public life and in Newton, where he has served in the city government and been active in dramatics. As a result the more than 400 brothers present in the lodge on the evening that he completed his Blue Lodge work about evenly divided between members of Dalhousie Lodge and visitors. For the work on Brother Bentley the officers were: W. M., Rt. Wor. Edward C. R. Bagley, D. D. G. M. of the Third Masonic District and deputy Commissioner of Correction; S. W., Wor. Bro. P. A. Melville, Past Master of St. Martin's Lodge, New Brunswick, of the Boston Globe; S. D., Bro. Grover C. Hoyt, of the Springfield Republican, Faith Lodge, Charlestown; J. D., Rt. Wor. Bro. George H. Dale, Pequossette Lodge, Watertown, State Representative; S. S., Wor. Bro. Louis A. Phillips, Monitor Lodge, Waltham, of the Secretary of State's office; J. S.. Wor. Bro. 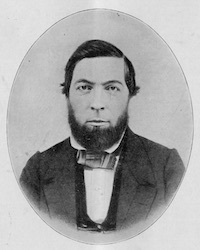 John M. Gibbs, Monitor Lodge, Waltham, State Senator; Marshal, Bro. Frederic W. Cook, John Abbot Lodge, Somerville, Secretary of the Commonwealth. Brothers Kenson E. Taylor, Mt. Hermon Lodge, Medford; George W. Perkins, Mt. Vernon Lodge, Maiden, both of the Boston Globe, and Bro. Richard W. Westwood, Dalhousie Lodge, of the Christian Science Monitor, assisted. The delegation of visitors from the State House was welcomed to the Lodge by a delegation of 10 Past Masters of Dalhousie Lodge beaded by Wor. Bro. James B. Fuller, oldest living Past Master of the Lodge. Brother Cox made a brief charge to Brother Bentley, emphasizing the great force which Freemasonry can and should exert in meeting the great problems of the world today. Among those who were visitors were: Wor. Bro. Herbert A. Wilson, Police Commissioner of Boston; Brother Wesley A. Monk, State Senator; Bro. Martin Hays, State Representative; Bro. Eugene A. Kelley, Commissioner of Public Health; and many others. A century-old mystery was solved at the 125th anniversary of Dalhousie Lodge, A. F. & A. M., of Newton this spring. For the first time, living members have just learned which of three great Masons, all Earls of Dalhousie and Grand Masters of Scotland, is commemorated in the name the Lodge has borne since 1860. Wor. and Rev. Dr. John R. S. Higgins, presiding Master, credits Wor. James C. Benoit, the Lodge's historian, with nailing down the honor for the first of the three Lords Dalhousie whose names have been connected with the Lodge. He was George Ramsay, the eighth Earl of Dalhousie, Grand Master of Scotland from 1767 to 1769. It was he who granted letters of deputation to General Joseph Warren in 1769, making him Grand Master of Masons "in Boston, New England, and within 100 miles of the same." None of the official records of the Lodge stated specifically that its name was intended to honor the eighth Earl. Some doubts arose later as another Earl of Dalhousie achieved world fame as the empire-building Governor General of India. He was James Andrew Broun Ramsay, tenth Earl, who had served as Grand Master of Scotland 1836-1838 and who died in 1860. Confusion was compounded when the young Lodge wrote to Scotland in its early years and asked for a portrait of the "Earl of Dalhousie" to hang in the Lodge room. It received a portrait all right, but it was a photograph of the eleventh Earl, Fox Maule Ramsay. He was Grand Master of Scotland when the Lodge was founded, but he didn't become Earl of Dalhousie until later. His picture hung in the Newton Masonic Temple for over 100 years and generations of Dalhousie members assumed that he was their original patron. In his research for the 125th anniversary, Historian Benoit ran across a bundle of 1860 papers which made specific references to the eighth Earl as the man whose name the Lodge had taken, the man who helped to establish Masonry in Massachusetts. At the anniversary celebration, Wor. Bro. Higgins announced the gift of a granite lectern to the City of Newton, to be placed and used outside the Veterans' Memorial at City Hall. Mayor Bro. Theodore D. Mann accepted the gift for the City. M. W. David B. Richardson, Grand Master, presided at the 125th anniversary meeting of the Lodge. M. W. and Rev. Arthur H. Melanson, Past Grand Master, preached the sermon at the church service. R. W. W. Bradford Chase, Jr., was general chairman of the anniversary committee, and M. W. J. Philip Berquist was chairman of the committee receiving the Grand Master. This page was last modified on 27 December 2018, at 07:23.